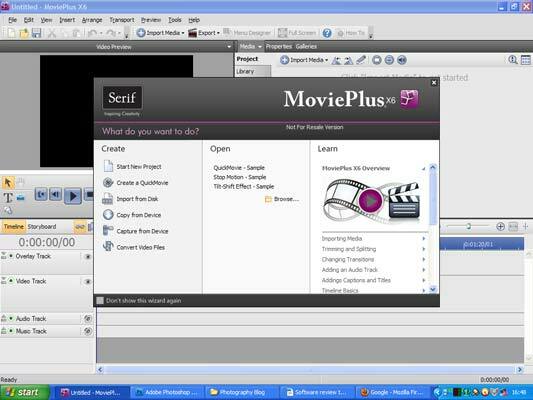 MoviePlus X6 is the latest installment in the range of video editing software from Serif. 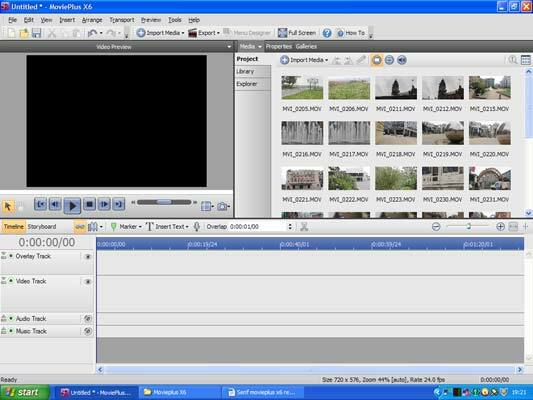 Designed to be extremely easy to use, this version boasts new features such as Quick Movie, Video file converter, 3D adjustment and Colour & Lighting adjustments. 20 professionally designed themes are available, each with customisable titles and credits plus matching transitions and effects. Compatible with Windows 7/Vista/XP, Serif MoviePlus X6 is priced at around £61 and is now available for download from the Serif website. Installation was done through the Serif website, which is quick and straightforward to do. It took us around 10 minutes including downloading the files to our computer with a feeble broadband connection. 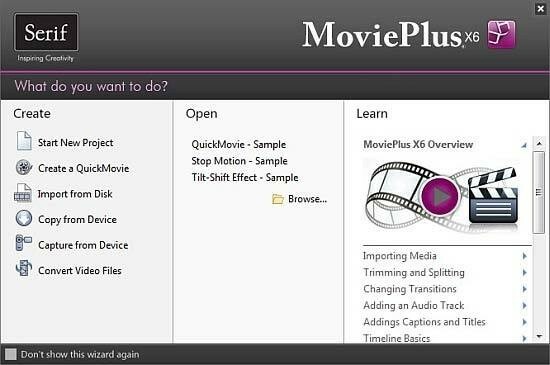 The opening screen of Serif Movieplus X6 utilises a pop up window giving multiple options such as starting a new project, opening an existing project or if you're new to it, you can view some tutorials. There are also some pre-made projects to open and see how they're done, such as stop motion and tilt-shift. Starting a new project opens the main window for use. The video that you use will be displayed in a small preview window in the top left of the screen. 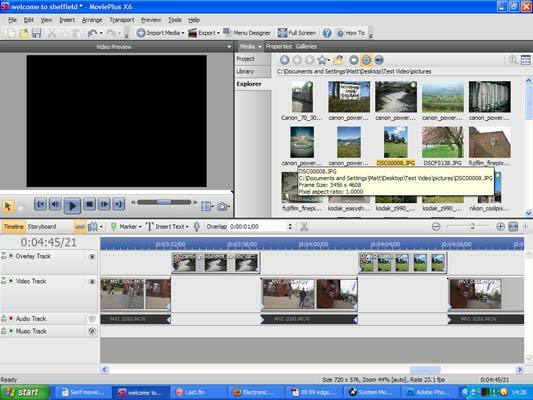 Above the preview window are all the tabs for opening files, inserting media, arranging and exporting etc.